Bridget Kelly – I’m sure you’ve already heard of Bridget Kelly. She’s signed to Jay-Z’s label, Roc Nation. Jay-Z signed her around the same time he signed J. Cole. She has toured the country with Jay-Z, filling in for Alicia Keys on their hit “Empire State of Mind.” She was working on her debut album and thought she finally found her first single, “Thinkin’ Bout You,” which was written by Frank Ocean. Unfortunately, we know how that ended. Frank Ocean decided he wanted the song for himself and released it on his own debut album Channel Orange. Bridget didn’t let that hold her back. She recently released her single “Special Delivery,” which I absolutely love. I’m definitely rooting for her to make it! Hopefully, we’ll get an album from her this year. Bridget is just about ready to drop her first studio album with the release of her new single “Street Dreamin” featuring Kendrick Lamar. We all know you can’t go wrong with Kendrick Lamar right now. Yesterday, Bridget dropped the music video for the soulful, upbeat R&B track. 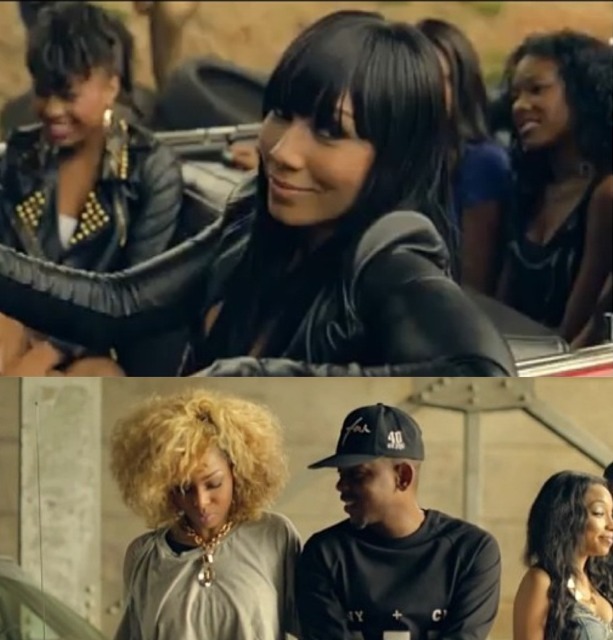 She hooked up with Kendrick Lamar in Tennessee while he was on tour to shoot the video, which is directed by Clifton Bell. « The Numbers Are In… Who Sold More Albums? Kanye West Or J. Cole?